Awarded: Gillette Landmark Design Competition 3rd place. 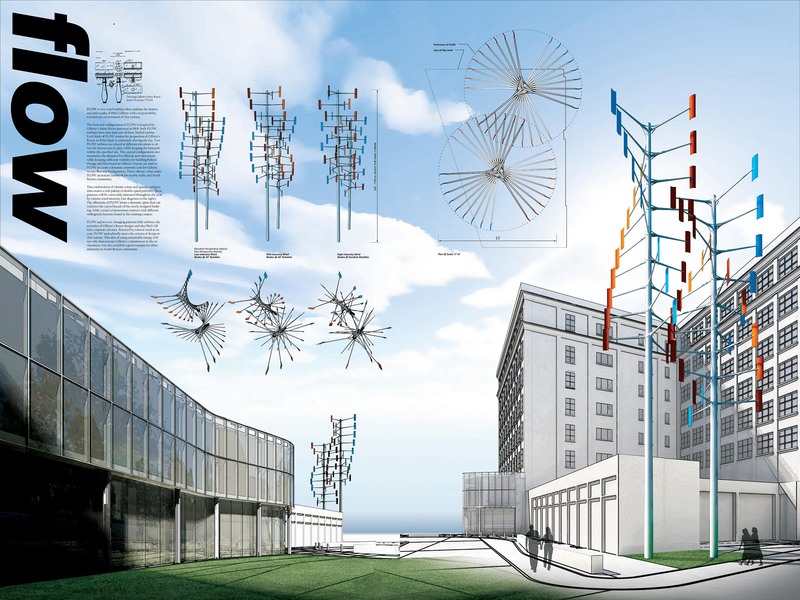 FLOW is two vertical-axis wind turbines that combine the history of P&G Gillette with environmental goal of 21st century. The form and configuration of FLOW is inspired by Gillette’s Safety Razor patented in 1904. Both turbines have nine mini sets of blades. Each blade retains the proportion of Gillette’s Razor, as if the blade is constantly shaving the sky. 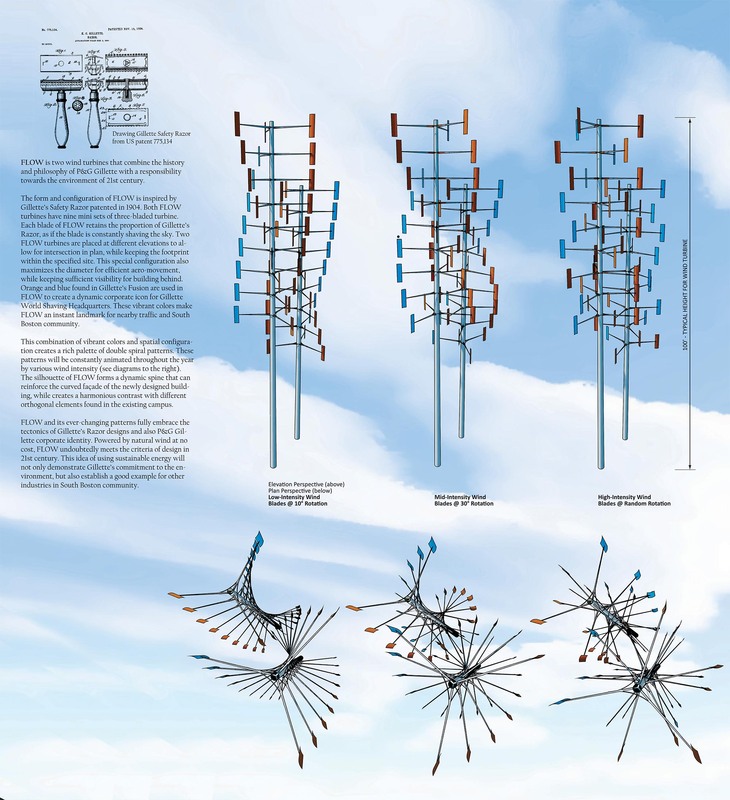 Two FLOW turbines are placed at different elevations to allow for intersection in plan, while keeping the footprint within the specified site. This combination of vibrant colors and spatial configuration creates a rich palette of double spiral patterns. These patterns will be constantly animated throughout the year by various wind intensity. The silhouette of FLOW forms a dynamic spine that can reinforce the curved façade of the newly designed building, while creates a harmonious contrast with different orthogonal elements found in the existing campus. This idea of using natural energy to power an art piece establish a good example for other industries in South Boston community. See our design for OLED Turbine known as Aliasing.